HANDS-ON-BOOKS: Nonfiction for Kids with Fun Activities: It’s Halloween…Time to Carve Your Turnips! 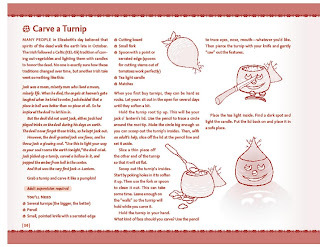 It’s Halloween…Time to Carve Your Turnips! I love Halloween -- not so much the candy and costumes (though I’m grateful for those tiny Snickers bars) as for the folklore and centuries-old practices from the British Isles that took place this time of year. When my daughter took up Irish dancing and got us involved in all things Celtic, I started digging deeper into the celebration of Samhain (pronounced “sow-ren), when the Celtic year ended and a new one began. People on these islands carved out vegetables, popped in glowing coals, and used them to light their way at this holy time of year, when they believed that the veil between the living and those who’d passed on was at its very thinnest. From this ancient practice evolved our tradition of carving jack-o-lanterns for Halloween. 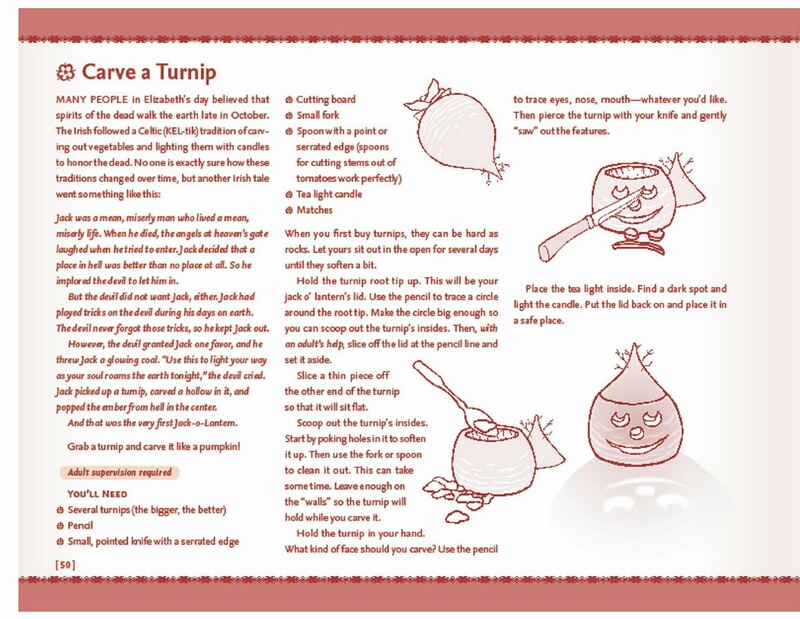 My new book, Elizabeth I: The People’s Queen, offers details on how to get started with turnip carving -- plus an old Irish tale that explains how the Jack-O-Lantern got its name. This is a fun activity. I just did it with my kids.